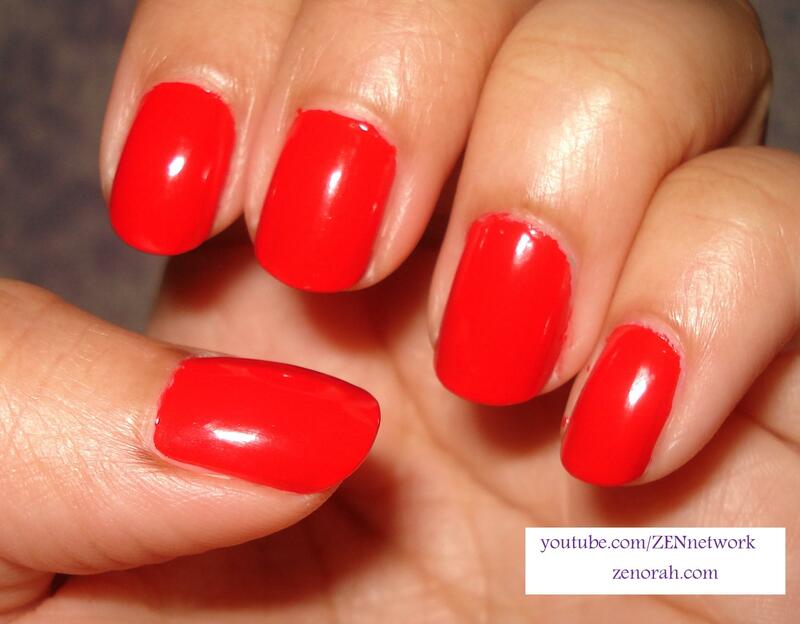 Zoya Maura – is an orange based red creme polish. This was released in Zoya’s Summer Flash Collection 2010 and I am ashamed that it has taken me this long to re-paint my nails with this gorgeous polish! It is the PERFECT summer red polish and because of the orange undertone I think this is just divine for a modern pin-up look as well. What is so fantastic about this tone of red is that it will look good with practically ANYTHING you wear all summer long and it looks GORGEOUS as a manicure or pedicure. Just a little side note: Sorry I haven’t been posting my Zoya nail polish swatches are regularly as I have been in the past, I will continue to finish my Zoya swatch marathon – I just needed to blog about stuff as well in order to be authentic to the products I am using, loving or unimpressed. It was such a dream to work with this polish – it was opaque in two coats and dried pretty quickly. I found myself wanting to reapply it right after taking it off but I still have around 15-20 more Zoya polishes to show you guys so I had to restrain myself. But believe me, I will no longer neglect this beauty!! The only part I did not like was removal but I am just being picky because removing any red nail polish is not a lot of fun because it stains around my cuticles but it really depends on how effective is your nail polish remover. Overall, I am so satisfied with this polish that you will be seeing it on a must-have list pretty soon! Do you own Zoya Maura? What are your thoughts on this nail polish?